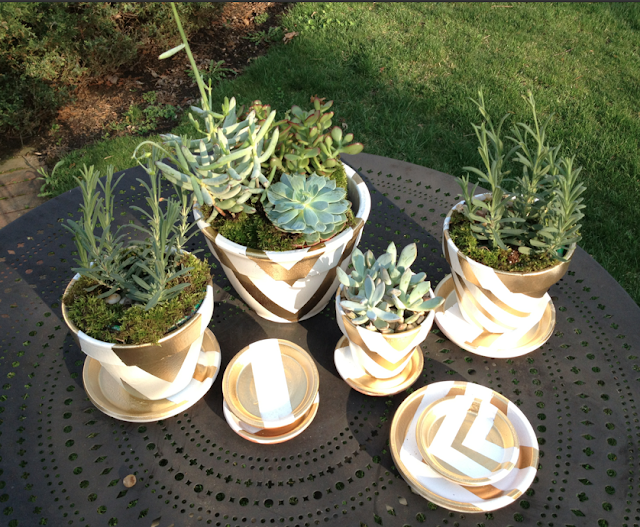 For those of you who guessed that my DIY coasters were terra cotta pot saucers -- you were right! 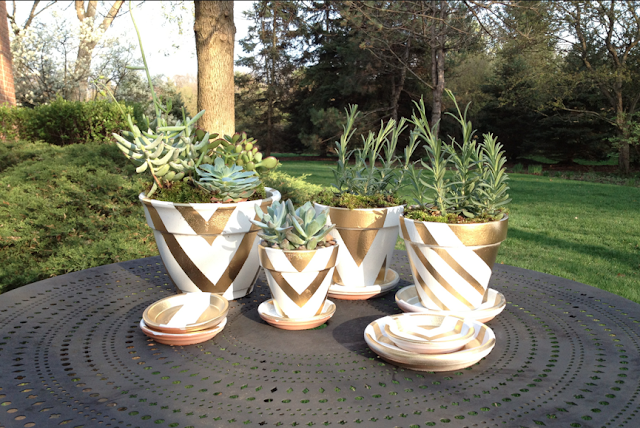 They were part of this larger project to glam up simple terra cotta pots with metallic touches and graphic patterns. 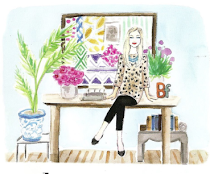 The step-by-step instructions for recreating this look can be found in my guest post on Chicago Home + Garden's blog, Design Dose. These are AWESOME!!! I absolutely love these!!! oh, these are so creative and beautiful pieces ... I saw the earlier one , the ''DIY plates/coasters'' too...amazing work ! Ohh these are smashing! I love them. Going to try! Impact, perfect for inside or out. Great job. You are extremely patient to produce these striking pots and coasters. Warm regards. Great job! I never would of thought, but what a fun way to spruce them up. Was it easy? How amazingly creative! It would fun to try with different background colors. Gold in spring! I don´t see that very often, thats cool! Thanks for your comment, Blair! I'm also loving these pots. I'm hoping I move to a place with an outdoor space to do coasters like yours! These are amazing, going to check it out! The mirrors look so amazing. I like that they were set up in areas with lots of color. It makes the silver mirrors pop. Stunning looking this post .